In the Old Town of Bratislava many elderly people, affected by the high cost of living and the lack of support, are unable to afford enough to eat. Elderly people also find it difficult to prepare their own meals due to bad health or simply not having enough money to buy fresh food. 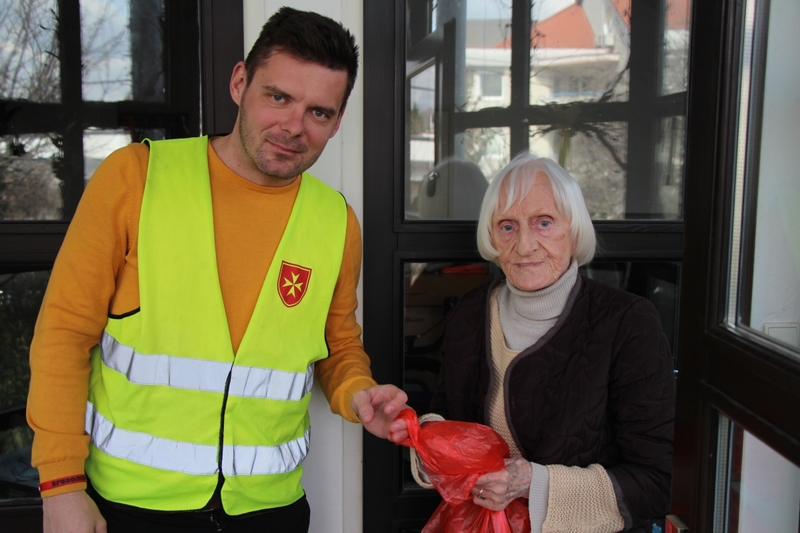 In 2015, the Slovakian Relief Service established a work of the Order to provide meals for elderly residents, delivering warm lunches to disadvantaged elderly people everyday and alleviating not only the burden of cooking, but also of buying the food. Without the Order, most of the recipients would not be able to afford to have one warm meal daily. The sense of companionship that the volunteers also provide each day is crucial and shows that there is someone who cares. As of 2019, the project delivers more than 1,500 lunches a month, directly in their homes, using the Order’s three cars. The project started small, however it has been so successful that the Slovakian Relief Service continues to extend their reach to more elderly people every day. With the grant awarded by the Fund, they have successfully raised further funding from other charitable institutions and aim to further expand the project and reach more of the forgotten elderly, who are desperately in need at this time of year.